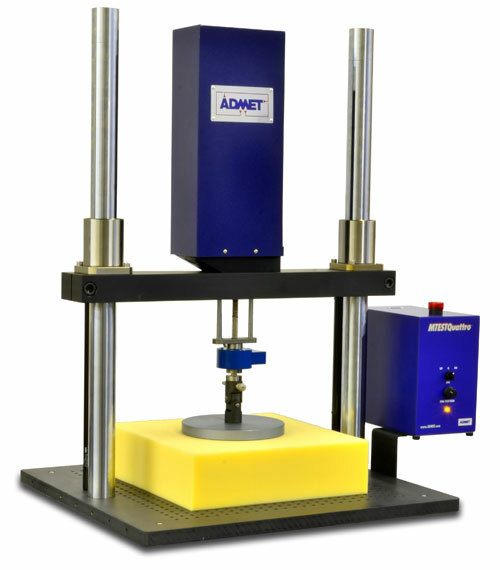 ASTM D3574 B1 is a testing specification that measures the indentation force deflection of urethane foam and foam-like substances. The test procedure below follows the publication’s listed compression ratios, but many users pick the rates that are important to their testing. 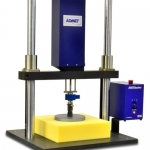 A universal tensile testing machine is needed to complete the test procedures. Force capacities at the two deflection points are recorded as well as the support factor and original thickness. 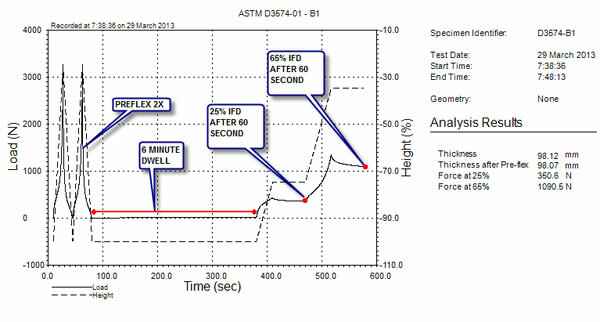 Before conducting ASTM D3574 B1, it is important to read the entire specification in the relevant ASTM publication. Preflex the foam specimen by compressing its thickness 75 percent to 80 percent of its original size twice. 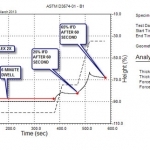 The testing speed is specified in the standard. Let the specimen stand for approximately six minutes after the preflex. Apply a preload of one pound of force capacity. Measure the thickness of the foam specimen. 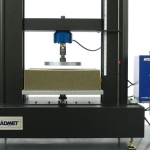 Compress the foam downward by 25 percent of its thickness at the rate specified in the standard. Wait approximately one minute. Record the force capacity applied in Newtons. 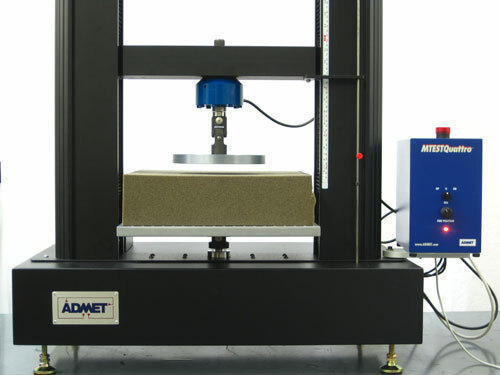 Compress the specimen further by 65 percent of its original thickness at the same rate. Wait approximately one minute. Record the force capacity applied in Newtons. Just have a quick question about running ASTM D3574 B1 on your system?